Protea Hotels by Marriott has revealed the signing of a new hotel in Accra, at Kotoka Airport. It will become the brand’s second hotel in Ghana and the first Protea Hotel by Marriott in the capital city. Located in the rapidly transforming suburb of Arcadia in Pretoria, the hotel is nestled within Loftus Park, a comprehensive mixed-use corporate, retail and lifestyle precinct in Pretoria, fast emerging as a bustling business and leisure destination. 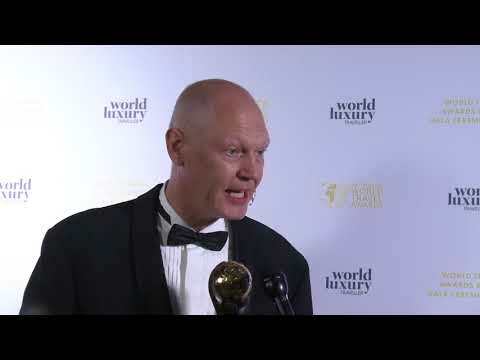 Volker Heiden, area vice president, Protea Hotels by Marriott & African Pride Hotels, speaks to Breaking Travel News as the industry leading chain is recognised by voters at the World Travel Awards. Protea Hotels by Marriott has announced the opening of Protea Hotel by Marriott, Owerri Select in south-eastern Nigeria, a development which further consolidates its presence in the country. The 90-room hotel, developed by African Capital Alliance, a leading investment firm, and Kunoch, is located in Owerri city, the capital of Imo state. Protea Hotels is signing agreements for the development of its first hotel in Botswana, the ninth country in Africa in which the brand will have a presence. The group, which was established in South Africa, has expanded into Zambia, Nigeria, Namibia, Malawi, Uganda, Tanzania and Ghana. Marriott International is opening the 132-room Protea Hotel Select Takoradi, its first establishment in Ghana. Marriott International is introducing its Marriott Rewards loyalty program across key Protea Hotels located in Johannesburg, Cape Town and Durban. Nigeria’s new 117-room Protea Hotel Select Ikeja opens its doors this week in the upmarket Lagos suburb of Ikeja. The internationally competitive hotel is just a stone’s throw away from Ikeja City Mall & Lagos State Secretariat, and a mere 5.2 kilometres away from Murtala Muhammed International Airport. Marriott International and South Africa’s Protea Hospitality Holdings have announced that they have signed definitive agreements for the purchase by Marriott of Protea’s three brands and management company. Under terms of the agreements Marriott will pay approximately US$186 million subject to normal closing adjustments. Santa’s elves at the Protea Hospitality Group’s head office in Cape Town have been very busy wrapping up one of their big charitable drives of the year, putting together dozens of shoeboxes for underprivileged children across South Africa. Protea Hotels has just signed an agreement for the construction of another hotel in Uganda, bringing to four the number of properties in the country.